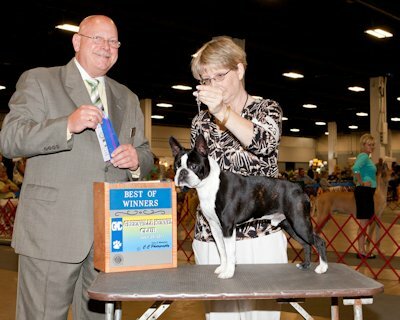 Duncan earned his AKC Novice Standard title in Columbia, SC (Greater Columbia Obedience Club trial) on April 6. That same weekend, he earned his Open JWW tile with three 1st place finishes. 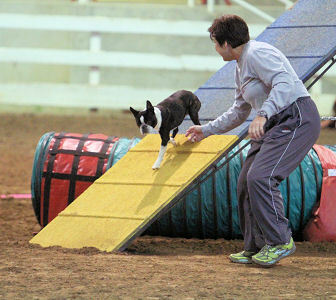 On March 31 and April 1, Duncan ran his first Standard courses in Concord, NC (Greater Monroe Kennel Club trial. 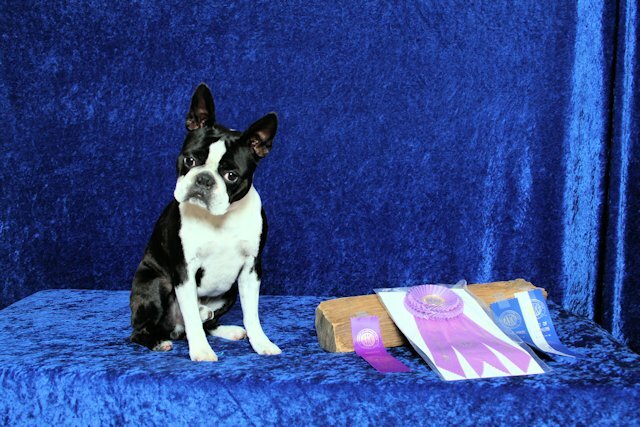 He got his first two Standard legs with 1st place finishes. 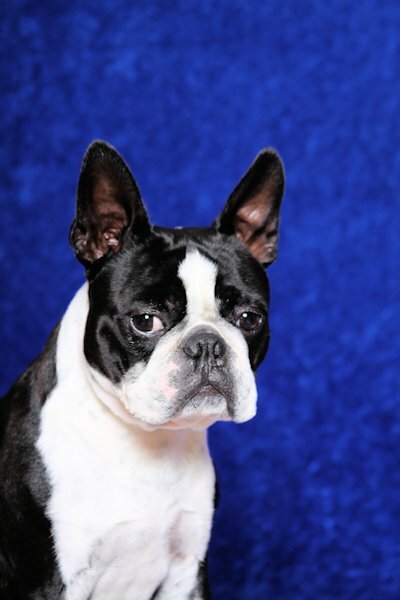 Duncan got his AKC Novice JWW title in Alpharetta, GA (Canine Capers) on March 17, 2012 with a 1st place finish. Pictures from Duncan's first trial (4 PAW Agility Club trial) in Alpharetta, GA on March 10 and 11, 2012. He only ran JWWs and Q'd both runs with 2 second place finishes. 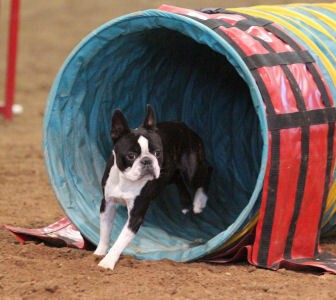 Duncan was in his first agility trial on 12-17-2011 and 12-18-2011. Duncan competed in P1 Gamblers both days and P1 Jumpers on Sunday. He earned 4th place in Gamblers on the 17th with a 2nd place on the 18th and a 4th place in Jumpers. Duncan is now officially Champion Brandy's Slam Duncan. He earned his title on July 31st. He went into a show in Greenville, SC needing 4 points. on Sunday he got the final 2 points with another Best of Winners selection. We are very honored to have this title. 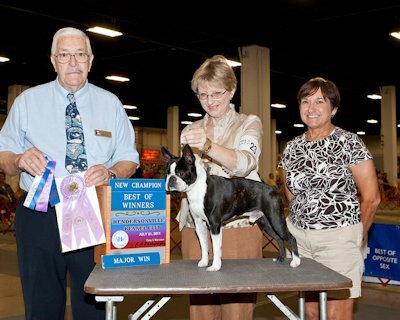 In March at the cluster of conformation shows in Kentucky: Duncan had a 4-point major, Winners Dog! He has two majors and some points now. 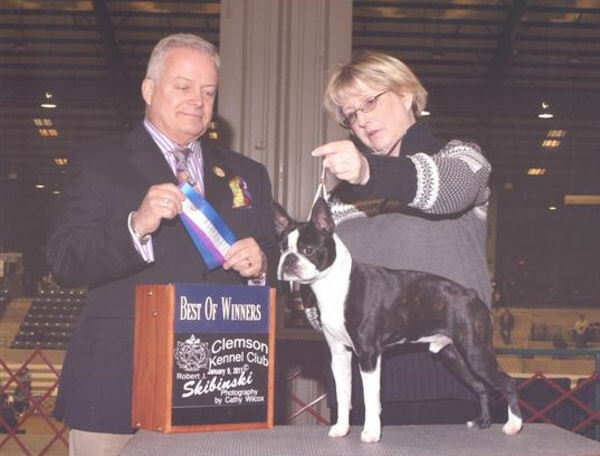 On January 9, 2011 Duncan got Best of Winners. This was his 2nd time in the ring, with the first being the day before. 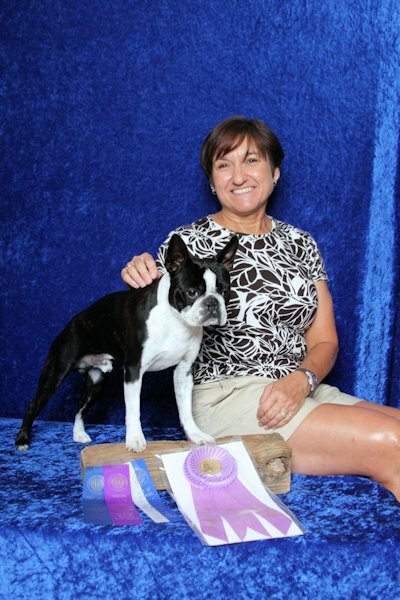 The judge was Mr. Dennis McCoy and his handler was Loreen Wunderlich. He loves being in SC with his sister Kersee and adopted siblings Sampras and Piglet. He is growing fast and learning faster. He is an awesome puppy and plans to participate in agility someday.